Having a video surveillance and/or alarm system is a great asset to your business, but monitoring the activity around the clock is equally important. While this can be a daunting task for a business owner, Rancho Santa Fe Security offers 24-hour professional monitoring so you don’t have to worry about constantly keeping an eye on your place of business- leave that to the professionals! With our professional monitoring, you can have peace of mind knowing that if anything happens, RSF will notify you. 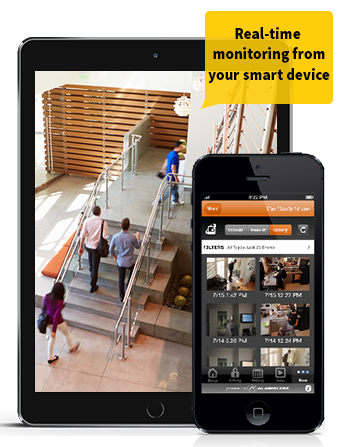 Burglary Alarms – know if there is an attempted break-in at your business. Fire Alarms – get an alert if smoke is detected in your business so you and your employees can evacuate quickly and safely. 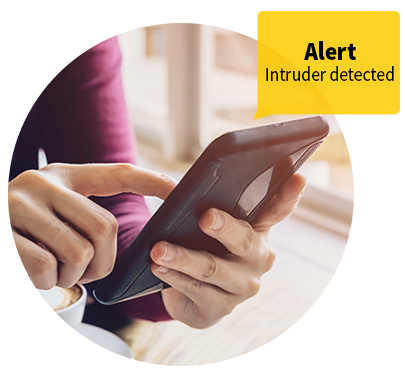 Burglary Alarms – know immediately if there is an attempted break-in at your business. Fire/ Carbon Monoxide Alarms – get an instant alert if smoke or CO is detected in your business so you and your employees can evacuate quickly and safely.